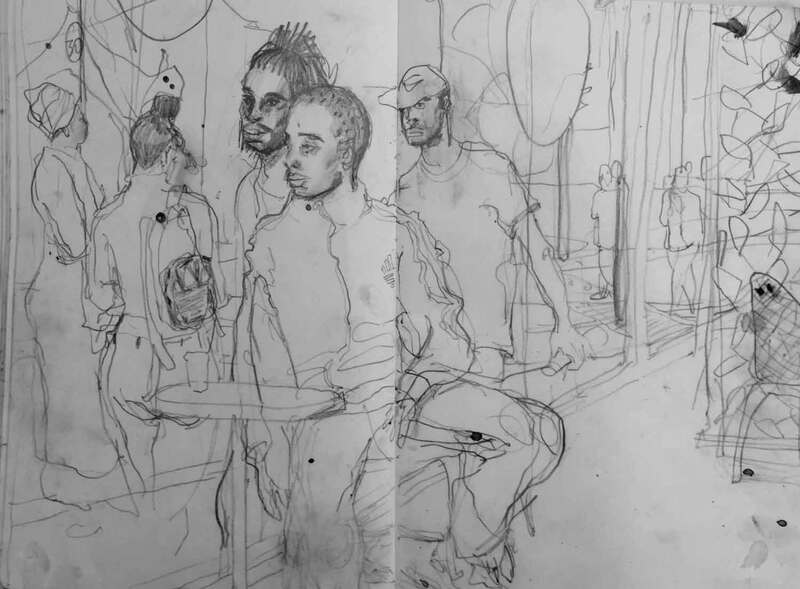 Out of 699 entries from over 70 colleges in Britain and the Republic of Ireland, Mall Galleries is delighted to announce that the winner of the Hermione Hammond Drawing Award 2018 is Martin Karpisz, professionally known as Siguel. Karpisz is currently studying a one-year Master’s programme at Glasgow School of Art, having completed his BA at Poznan University of Arts. 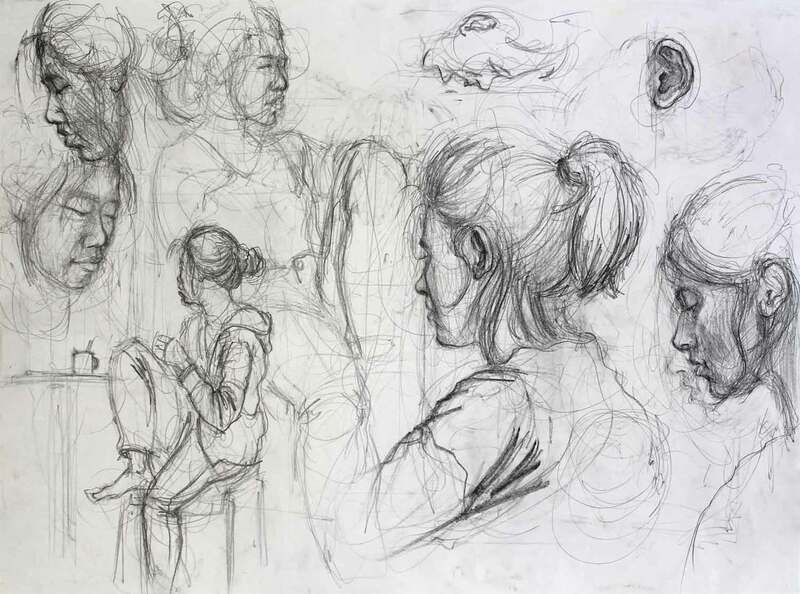 His winning work is titled Study 1 and portrays two friends, Cheak Yen Hui and Julie Mitchell, to the right of whom an ear is drawn in considerable detail; “I want the viewer to listen to the story the picture is telling”, explained Karpisz. Guest Judge of the Award, Peter Clossick, praised “the quality of Martin’s drawing”, adding that “it has a lovely rhythmic quality, and I like the listening ear”. Clossick is a member of the New English Arts Club and past President of The London Group. 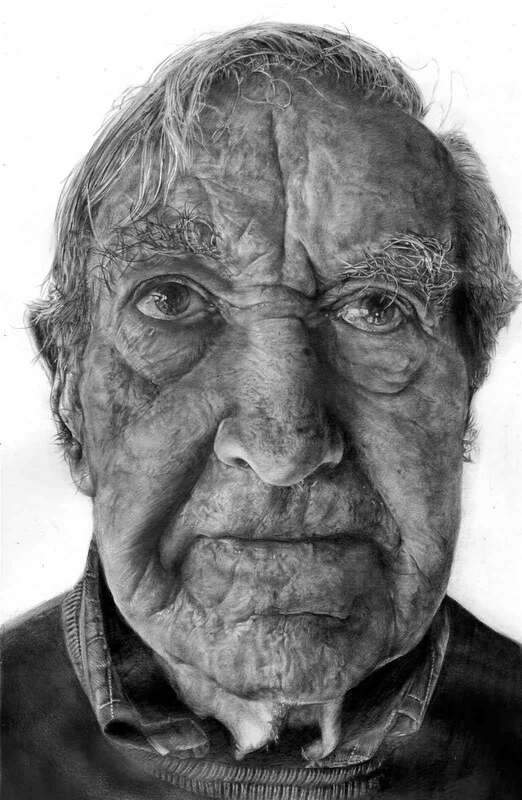 He was joined on the judging panel by three others, representing Hermione Hammond’s family and Mall Galleries. 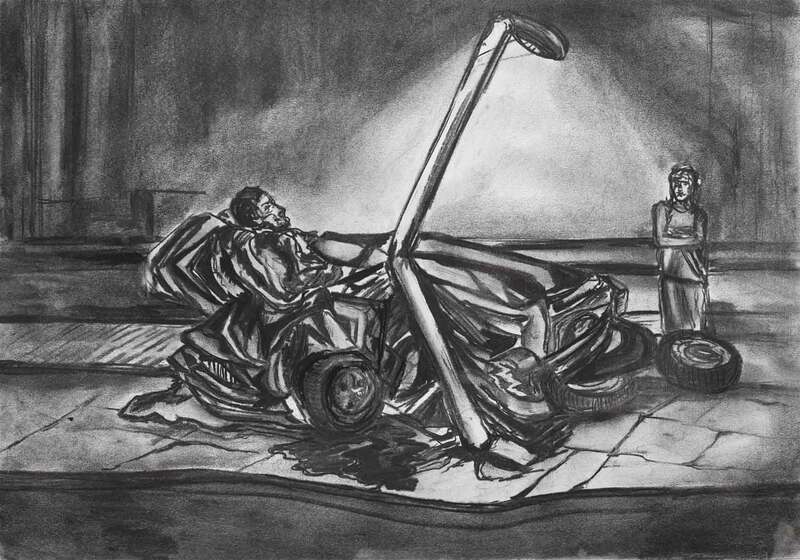 The 2018 runner-up is Nicholas Peall, student at Turps Art School, for his charcoal drawing, Self Drive. “My work is fuelled by modern-day anxiety and the yearning for spiritual freedom which, in our age of electronic chaos, can be hard to achieve”, says Nicholas. 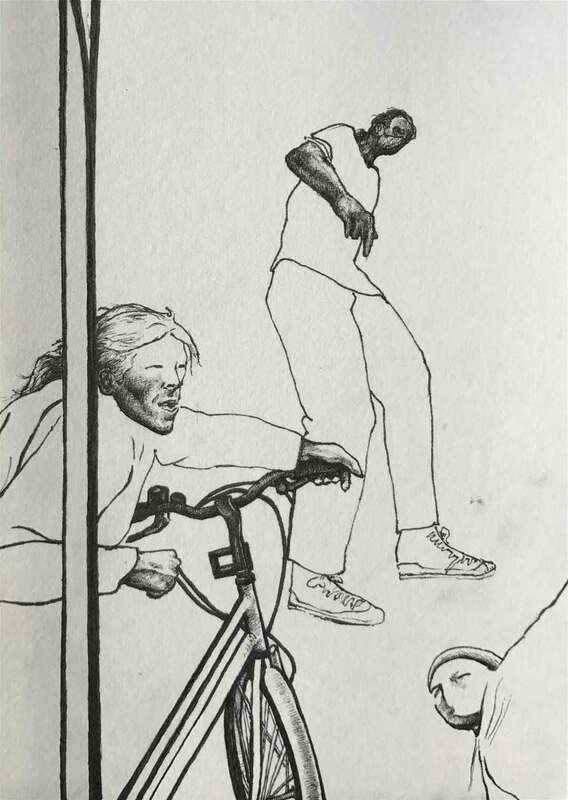 Three further works were highly commended by the judges; My Grandfather by Meggie Watkins (University of Brighton), City Life by Jack Dickens (Norwich University of the Arts), and Peckham High Street 4 by Rebecca Harper (Turps Art School). The Award was established in 2012 in memory of the artist Hermione Hammond, and aims to encourage artists to develop their drawing skills. It is now run in conjunction with Mall Galleries and the Federation of British Artists. Submitted 11 months 4 weeks ago by Beatrice.